Central City Brewers + Distillers is ringing in 2016 with a big splash with the unveiling of their highly anticipated sour beer – Sour Brown I Barrel-Aged Sour Ale. 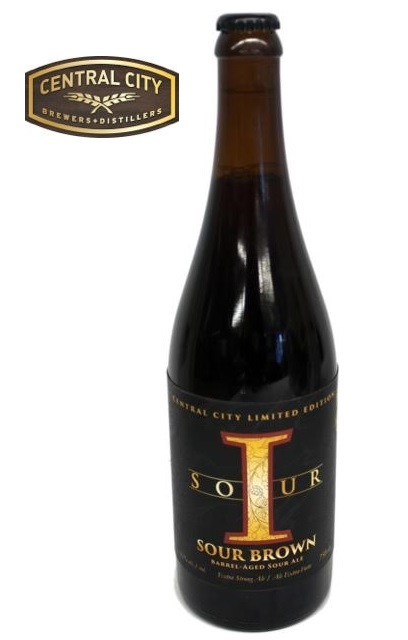 A hot, burgeoning style of craft beer, Central City’s Sour Brown I (9.2% ABV) is a traditional Belgian style sour brown ale aged for two years in a combination of Cabernet Sauvignon oak barrels and French oak foeders. Its flavour is malty sweet with a balanced acidic finish with barnyard hay notes. Central City is unveiling their Sour Brown I Barrel-Aged Sour Ale at the inaugural launch on Thursday, January 14 from 6 p.m. to 10 p.m. at Central City on Beatty Restaurant (871 Beatty Street, Vancouver). The limited edition Sour Brown I Barrel-Aged Sour Ale is available in 750 ml bottles and will be available in Western Canada, Ontario and throughout the US Pacific West Coast in late January.